If you’re leaving, take me with you. 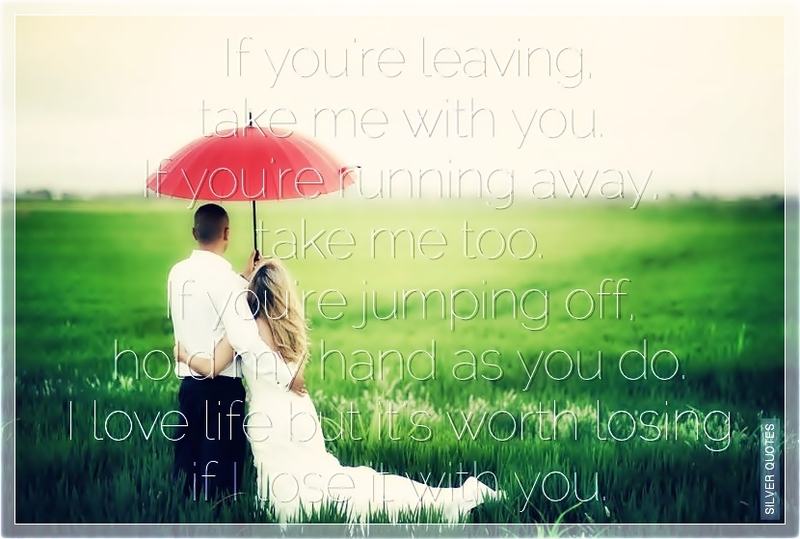 If you’re running away, take me too. If you’re jumping off, hold my hand as you do. I love life but it’s worth losing if I lose it with you.